The San Diego Gulls of the American Hockey League will have a cowboy hat giveaway on Feb. 23 when they host the San Antonio Rampage at the Pechanga Arena San Diego (Tickets). This special promotion highlights the Gulls Country Night. In addition to the cowboy hat giveaway, there will be a Country Night pre-game tailgate party from 5 p.m. to 7 p.m. There will be mechanical bull riding, street hockey, line dancing and Bud Lights are only $5 each! The Gulls are currently in third place in the Pacific Division with 53 points. They have a record of 24 wins, 14 regulation losses, two overtime losses and three shootout losses. The Rampage is in seventh place in the Central Division with 48 points. They have a record of 23 wins, 21 regulation losses and two overtime losses. San Diego's leading scorer is center Sam Carrick, who has 22 goals and 19 assists for 41 points. The Rampage leading scorer is center Jordan Kyrou, who has 12 goals and 17 assists for 29 points. In Gulls transaction news, the Anaheim Ducks have called up defenseman Andy Welinski from the Gulls. 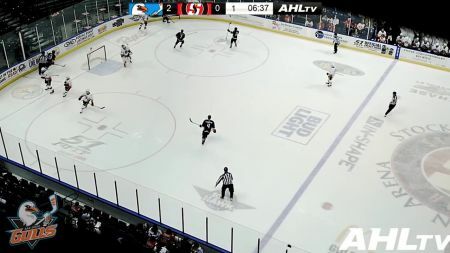 In a move made on Feb. 7, Welinski had six goals and seven assists for 13 points with the Gulls in 18 games and had two assists in 19 games with the Ducks. In Gulls promotional news, the hockey team will have a watch party on Feb. 16 at Hooley's Irish Pub (5500 Grossmont Center Drive in Le Mesa, CA) when San Diego visits the San Jose Barracuda. Gulliver (the Gulls mascot) and the Gulls Girls will be at Hooley's Irish Pub. Fans will have a chance to win tickets to Gulls home games and autographed memorabilia. The Gulls will also be having a bowling night on Feb .26 at the Mira Mesa Lanes from 6 p.m. to 9 p.m. The bowling alley is located in the Mira Mesa Mall, located at 8210 Mira Mesa Boulevard in San Diego, CA. If you are one of the first 180 people to purchase a ticket to the event, you are guaranteed to bowl with either a Gulls player or VIP guest. Also with a ticket, bowlers will have their choice between a raffle ticket and an alcoholic beverage. Pizza, salad and refreshments will be provided. Get your tickets to see the San Diego Gulls and the San Antonio Rampage on Feb. 23 at the Pechanga Arena San Diego today!